Our little lady has been sick for the better part of the past THREE weeks. Cold, fever, cough, eye infections, ear infections, rumbly cough, sneezing, runny nose … you name it, she has experienced it! Needless, to say, we haven’t been out and about much. We did get out for a quick hike at Lands End over the weekend. The weather wasn’t ideal, but Chuck wasn’t at work, so we seized the opportunity. 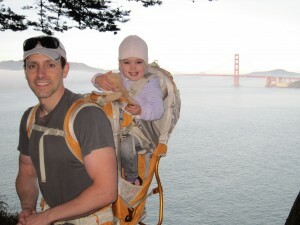 View photos of our Lands End Hike. This entry was posted in Family, Malina, Outdoors by jessica. Bookmark the permalink.